Captain Seymour W. Terry, of Company B of the 382nd Infantry Regiment was born in Little Rock Arkansas, and earned his Medal of Honor on Okinawa at Zebra Hill on May 11, 1945. Seymour W. Terry was leading an attack against heavily defended Zebra Hill on Okinawa, when devastating fire from 5 pillboxes halted the advance. He braved the hail of bullets to secure satchel charges and white phosphorus grenades, and then ran 30 yards directly at the enemy with an ignited charge to the first stronghold, demolished it, and moved on to the other pillboxes, bombarding them with his grenades and calmly cutting down their defenders with rifle fire as they attempted to escape. When he had finished this job by sealing the four pillboxes with explosives, he had killed twenty Japanese and destroyed three machine guns. The advance was again held up by an intense grenade barrage which inflicted several casualties. Locating the source of enemy fire in trenches on the reverse slope of the hill, 1st Lt. Terry, burdened by 6 satchel charges launched a l-man assault. He wrecked the enemy's defenses by throwing explosives into their positions and he accounted for 10 of the 20 hostile troops killed when his men overran the area. Pressing forward again toward a nearby ridge, his two assault platoons were stopped by slashing machinegun and mortar fire. He fearlessly ran across 100 yards of fire-swept terrain to join the support platoon and urge it on in a flanking maneuver. This thrust, too, was halted by stubborn resistance. 1st Lt. Terry began another one-man drive, hurling grenades upon the strongly entrenched defenders until they fled in confusion, leaving five dead behind them. Inspired by this bold action, the support platoon charged the retreating enemy and annihilated them. Soon afterward, while organizing his company to repulse a possible counterattack, the gallant company commander was mortally wounded by the burst of an enemy mortar shell. By his indomitable fighting spirit, brilliant leadership, and unwavering courage in the face of tremendous odds, 1st Lt. Terry made possible the accomplishment of his unit's mission and set an example of heroism in keeping with the highest traditions of the military service. 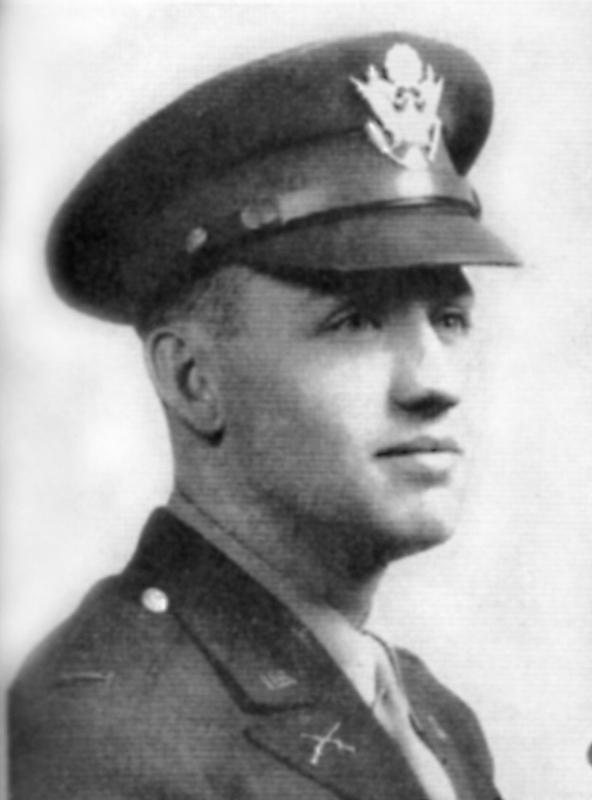 This YouTube video honors Medal of Honor recipient Seymour Terry. It is told as if it is the real voice of Terry. This Week in Arkansas History, Episode 50: "Medal of Honor: Seymour Terry"